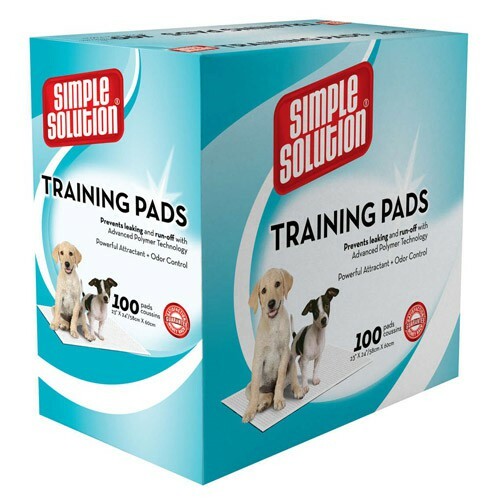 Simple Solution Training Pads feature a powerful built-in attractant to encourage your dog and puppy's housebreaking and potty training. 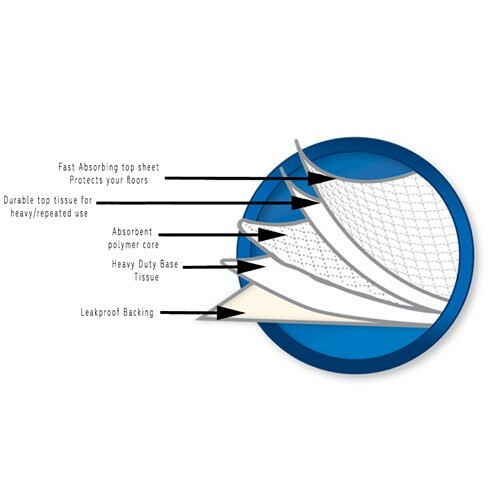 These pads also have an advanced construction with 5 layers and a polymer odor and moisture locking technology. 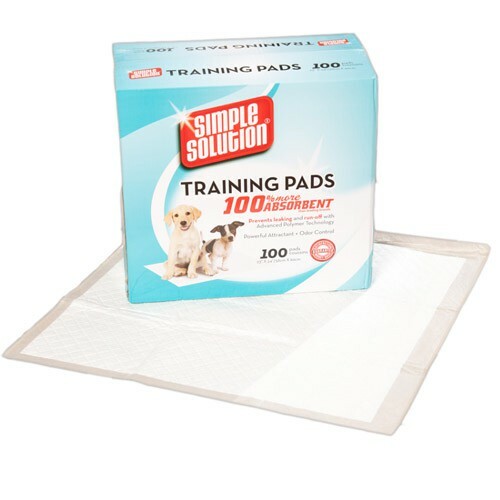 Each pad holds up to 4.5 cups of liquid and prevents leaking, spreading and keeps your pet's paws clean. Five-layer design helps keep more urine locked in; great for repeat uses or for large breeds.